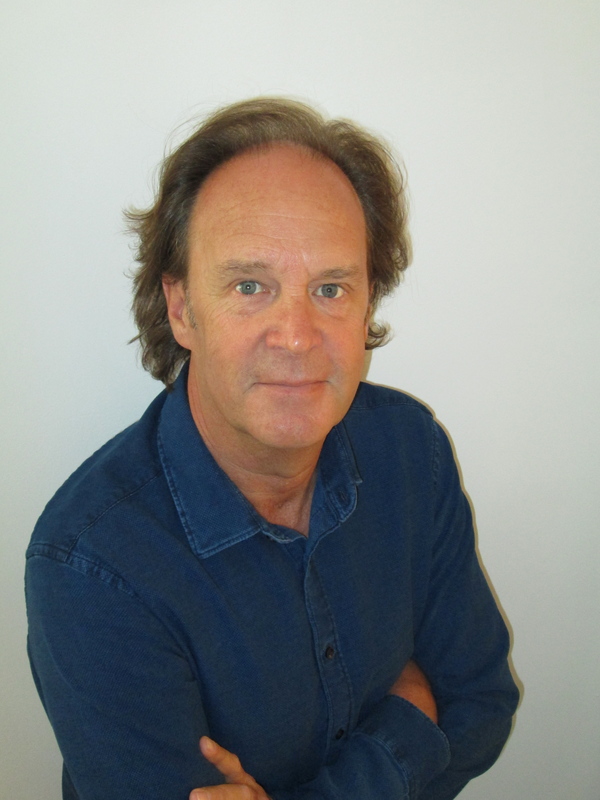 Mark’s top tip for authors: To write well is an ongoing process. Strive to learn and improve. Don’t be easily discouraged. Read with a writer’s eye. If you write about history, learn to balance reading for pleasure with research. Simpson and His Donkey was a CBCA Honour Book and a USBBY Outstanding International Book. Jandamarra, illustrated by Terry Denton, was shortlisted for the CBCA Eve Pownall Award, the NSW Premier’s Literary Awards Patricia Wrightson Prize for Children’s Literature and the West Australian Young Readers’ Book Awards. Mark often teams with his wife, illustrator Frané Lessac, to produce books that promote an understanding of multicultural issues, such as Drummer Boy of John John, Magic Boomerang, Outback Adventure, and Our Big Island. Their recent titles include The Mayflower and Midnight – the story of a light horse. Mark’s latest picture book is Boomerang and Bat, illustrated by Terry Denton. In 2017 he will celebrate the release of four middle grade chapter books in his new series of History Mysteries. Why do you write? I write because I enjoy sharing stories. What would you be doing if you weren’t a writer? Being published as a songwriter gave me the confidence to progress from writing lyrics to creating books for children. If I wasn’t writing, I’d probably be making music for a living. I also enjoy collecting rocks, minerals and fossils. Perhaps I’d be a geologist or a paleontologist. What was your toughest obstacle to becoming published? Starting out, knock backs from publishers were frustrating. Since then, I’ve learnt that publishing is a tough, competitive business and there are far more highs than lows when you persevere with stories you believe in. How involved have you been in the development of your books? Did you have input into the cover/illustrations? Many of my books are illustrated by my wife, Frané Lessac. I can visualise intuitively how she will paint a scene. With Jandamarra and Boomerang and Bat, I was happy to let Terry Denton’s art tell much of the story. To express what you have to say in fewer words is challenging but it makes the collaboration of text and art stronger. Having said that, I’ve never met Doug Holgate, the illustrator of my new History Mystery series…or Andrew McLean, the illustrator of a new picture book. I have faith in the publishers and the excellent reputation of the illustrators they’ve chosen. What’s the best aspect of your writing life? I get to visit schools and speak at festivals and to spend time with other creative people. Through writing, I’ve been invited to many remote Indigenous communities. I particularly enjoy traveling to where my stories take place. Walking in the footsteps of my characters enriches me beyond writing a book. —the worst? It took years of hard work, many rejections and hours of revising before my first book was published. Every writer has an impressive collection of rejections. They make us strong. What would you do differently if you were starting out now as a writer? I would make more time to read and write. What do you wish you’d been told before you set out to become an author? Being published once doesn’t make the next book any easier. Each new project requires that you work harder than the last one when you set high standards for your writing. What’s the best advice you were ever given? Persevere and be patient. Embrace the solitude of writing. Talk things through with people you trust. Seek out great editors. Be open to constructive feedback and change – ‘work on it’ can take stories in wonderful, unexpected directions. What inspired your two new titles? The spark to write Diamond Jack came from a visit to the historical museum in Broome. I was curious about the town’s wartime history, and intrigued by one particular photograph. It showed five men beside a bullet-riddled aircraft. They’d been sent on a mission to locate a missing treasure of diamonds. One of the men in the photo was Diamond Jack. I began collecting information about him from libraries and archives. Researching history is like going on a journey of discovery. It helps me balance creative interpretation with historical authenticity. 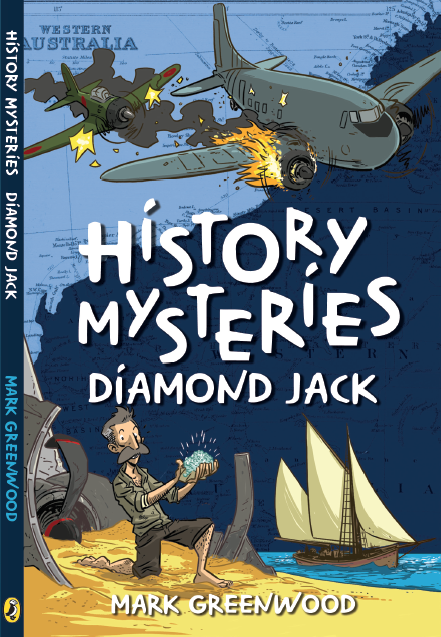 On the surface, the story of Diamond Jack is a remarkable wartime adventure and a tale of survival against the odds. Beneath the surface, it is an incredible true story of an endearing character, forced to confront the consequences of an amazing discovery. The mysterious disappearance of Ludwig Leichhardt is one of Australia’s greatest unsolved mysteries. It has always fascinated me. Some time ago, I stumbled upon an article about a gold prospector, a teenage boy and a small relic, said to have once belonged to the explorer. I began researching – brushing away layers of time. The discovery of the relic was a story within a story. It was a possible clue to our most baffling history mystery – the fate of Ludwig Leichhardt and his expedition. I’m interested in the many personalities who have contributed to our history. My intention in writing The Lost Explorer was to encourage an understanding and appreciation of the sacrifice made by people like Ludwig Leichhardt, who went forth into the unknown at a time when Australia’s interior was uncharted by Europeans. I hope these History Mysteries connect readers to the characters and their situations, so that the past lives and breathes. My aim is that these stories become a springboard for deeper study and learning. Delve into some of Australian history’s most baffling mysteries! In March 1942, an allied aircraft prepares for a desperate midnight escape from Java, taking refugees to safety in Australia. Just before take-off, the pilot is entrusted with a mysterious, wax-sealed package. When the plane is shot down by the enemy and crash lands on the Kimberley coast, the package is forgotten – until a beachcomber stumbles across the find of a lifetime . . . In 1848, the famous explorer Ludwig Leichhardt sets out on an epic journey. His aim is to cross Australia from east to west, but he never reaches his destination and no one from his expedition is ever seen again. 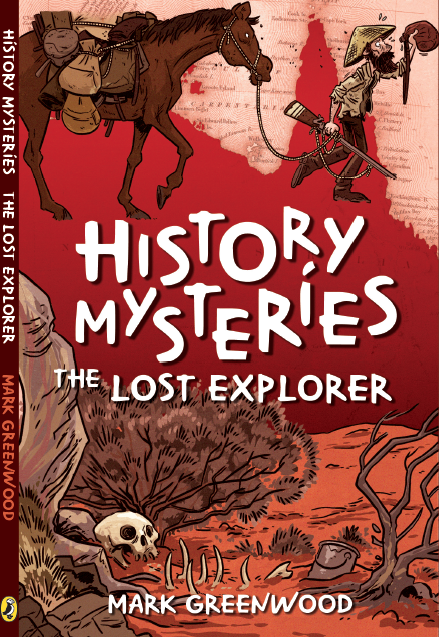 Countless search parties look for the lost explorer but no trace is ever found – until a young boy is given an artefact with an incredible story . 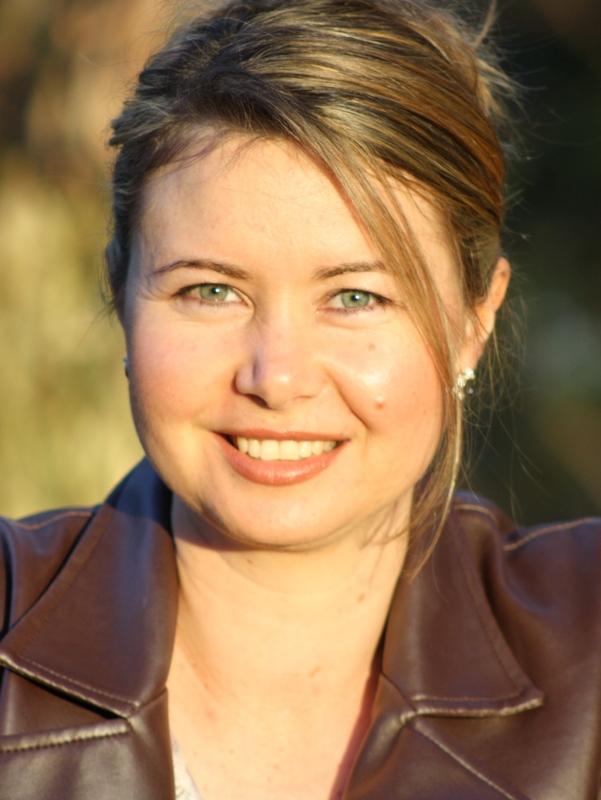 . .
Adele’s top writing tip: Ask trusted and knowledgeable people to read your work (not just your family or a friend who ‘has good grammar’) and work hard. If you keep receiving the same feedback, positive or negative, listen. And be prepared to pay for professional editing. I do, even now. Why do you write? I believe words are powerful and what we read, over time, becomes a part of who we are. In fact, I’m a member of a national writers’ organisation with a motto ending in: ‘We want our words to change the world.’ I guess that’s what I’m hoping, that the stories and poems I write will not only entertain, but also inspire deeper reflection, understanding and, ultimately, invest something positive into the lives of those who read them. What would you be doing if you weren’t a writer? Is that before or after my mummy and wifely ‘to dos’? LOL. Seriously, I studied science at university and continue to work in that field. If I wasn’t writing, I’d probably focus more on my science career, or maybe even take the opportunity to invest more time in my musical interests. What was your toughest obstacle to becoming published? I would say myself: my impatience; my lack of insight into how much development my writing needed; my fear of sharing my writing with others who might not respect it. It was only when I did a Master of Letters majoring in creative writing that I began to realise just how much I needed to learn and engage with more experienced writers. And I’m still learning. How involved have you been in the development of your book? Did you have input into the cover/illustrations? I’ve had a good deal of involvement in the development of my young adult techno-thriller novels. I realise this isn’t always the case. I’m grateful to my publisher for allowing me input, but I also recognise they know the market and have been in the publishing business much longer than I have. It would be unwise not to listen to their advice or respect their decisions throughout the publication process. What’s the best aspect of your writing life? Having readers falling in love with my characters and enjoying the stories as much as I enjoy writing them. —the worst? Feeling like I never have enough time to get everything done, including writing. Life gets busy and families have this weird thing where they want to see mummy every now and then. LOL. Sometimes it’s like robbing Peter to pay Paul, only Peter’s broke. What do you wish you’d been told before you set out to become an author? It’s a funny thing. I started writing because I had this recurring dream which I wrote down, but I didn’t really correlate that with the idea of becoming an author until many years later, when it seemed a reasonable idea to try and get my first manuscript published. (It was rather dreadful, so that didn’t fly for a long time.) I wish someone had invited me to a local writing group sooner. What’s the best advice you were ever given? ‘Hey, since we both like writing, why don’t we meet up regularly and talk about that?’ This was how a friend and I started our writers’ group, and that was the thing that really catalysed my writing from ‘something I did on the side’ to purposefully building an author platform and pursuing further opportunities to develop my craft. Blaine Colton had been handed a genetic death sentence until revolutionary gene therapy changed his life. Living a relatively normal existence, he is called to an unscheduled post-treatment appointment just weeks before his eighteenth birthday. Informed that his life saving procedure was never approved, he is held against his will for his status as an apparent illegal GMO. Subjected to constant testing, refused contact with his parents and deprived of life- sustaining medication, Blaine begins to suspect that something is wrong. 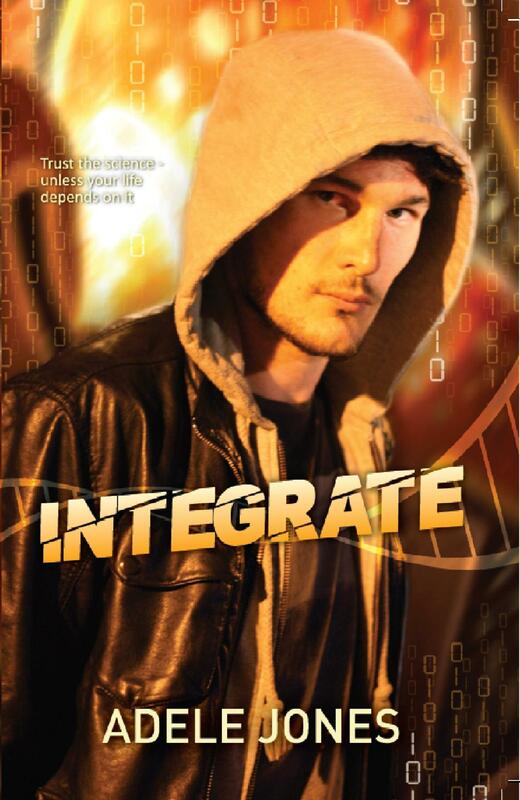 Wanting answers, he escapes the Institute and ambitious Chief Scientist, Dr Melissa Hartfield. Now a fugitive with a failing body, Blaine must find Professor Ramer, the developer of his therapy. But the Professor has vanished and time is running out. Fast. clones with his name on them. someone is watching him. Someone wants him dead. Josh Hammond’s not who he says he is. If he’s to stay alive, he must guard his identity, existing isolated from his former life and those he loves. The one enemy he can’t outrun is his failing health—and time is short. 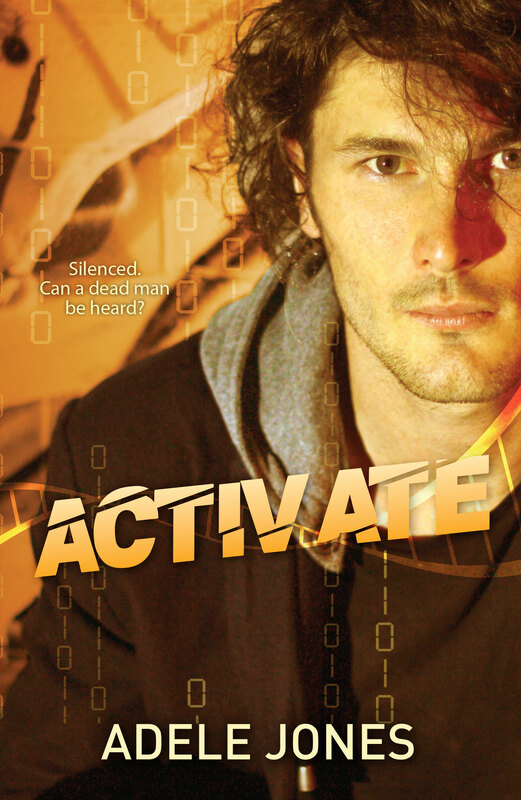 Desperate for a solution, Josh leaves the protection of his safe house unapproved. Instead of a cure, he’s left powerless against a cunning adversary. Determined to reclaim his life, he grasps an opportunity for escape, but things go drastically wrong. 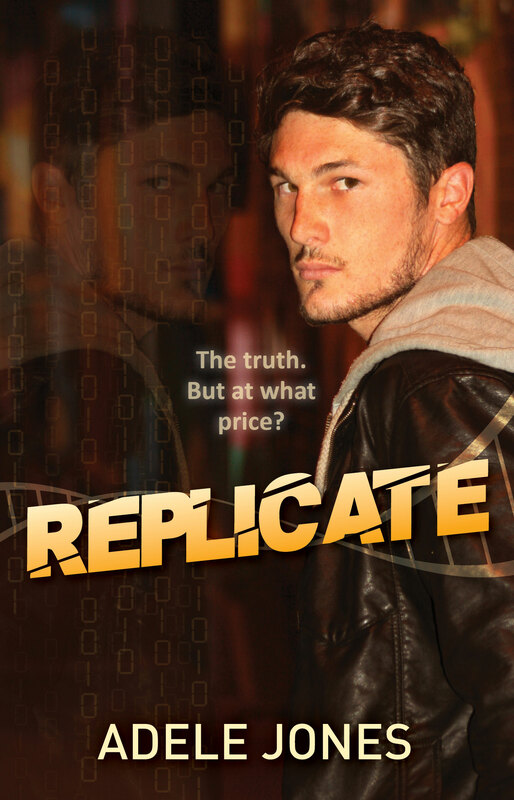 Can he find a way to expose the lies of a criminal mastermind, or will he be silenced? Forever.